A man from the US state of Michigan has told of how he narrowly avoided death to protect his designer bag from a would-be thief. 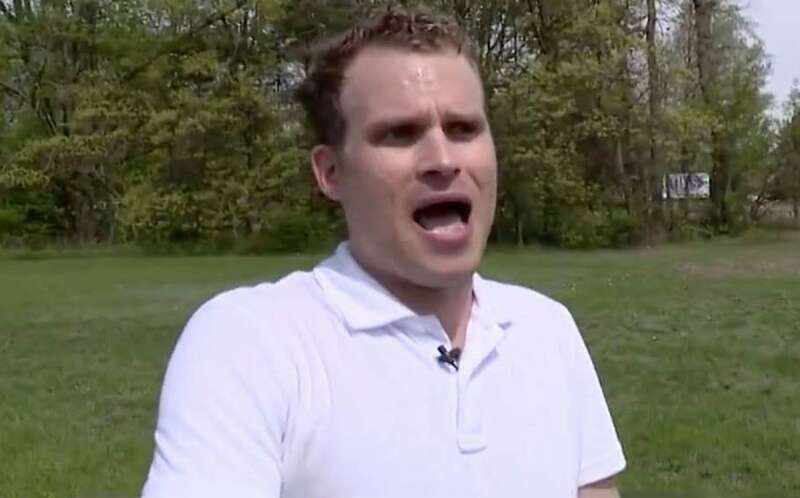 On Monday night, Jerad Kluting (pictured) says he was walking on the street in his hometown of Holland, Michigan when a man pulled a gun on him. The man demanded Kluting hand over his Louis Vuitton bag, but Kluting refused to give it up, even dodging three bullets to protect the designer bag. “It happened very fast. In one motion he took the gun out of his waist belt and with the other hand put up a bandana over his mouth and pointed, was like, ‘Give me your bag,'” Kluting recalled to local TV station WCMH-TV. “I worked very hard for this and this bag I’ve had forever and it means a lot to me… It represents me. Kluting said the specific style bag is no longer in production by Louis Vuitton, which he said adds to its sentimental value. He told the TV station he had no regrets about how he handled the situation. “I got my bag. You can pry it out of my cold, dead hands,” he said. Police encourage robbery victims to give up property when confronted to avoid escalating a situation, WCMH-TV reported. Local police said they’d since arrested an unnamed 21-year-old suspect in connection with the incident.